Our ornaments and figurines are sourced from leading UK manufacturers and across the globe. Handcrafted fair trade wooden decorative figures, Indian soapstone animals, Chinese ceramics and porcelain figurines. 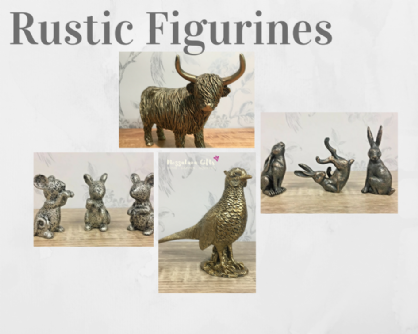 Our large ranges of mythological collectibles from Dragons, Fairies and Unicorns to the favourite Elephants, Giraffes and Birds.